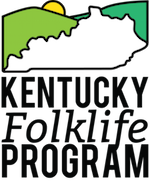 In an attempt to keep in touch with our more far-flung friends, KFP is now on Instagram and Twitter as @kyfolklife. Follow us to see behind-the-scenes photos, updates from events, and the scoop on upcoming programming. Make sure you like our Facebook page, too! Can you help us get to 500 followers?